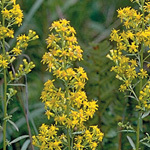 A compact goldenrod with ornate flower clusters. It loves poor, dry soil in hot, sunny locations. Q: Does this plant stay mostly upright, or does it flop over? A: It naturally varies from arching to being upright. If your soil is too good or you fertilize it too much, it could grow too large to support itself and flop over. 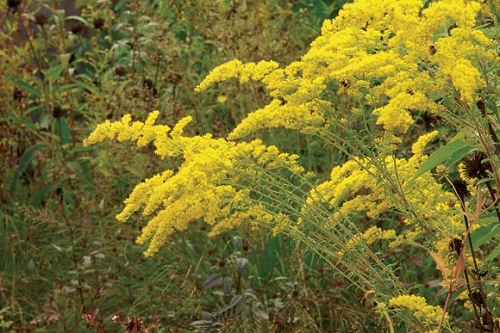 Larger goldenrods and asters can be trimmed back in July by as much as half. 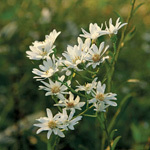 This will prevent them from growing too tall when it is time to bloom and can give the plants a more formal appearance.